Posted on 31 December 2012. Did you notice that there has not been not one note of Festival ads/notices/info in the paper for the entire year? The startling reality of this came to this crisis and the source of its perpetration only recently became evident. However, who are the people that will bring the real wealth at Festival time even before the crisis? The working MNIs who can come for two weeks and the rest of the world, that The Montserrat Reporter (TMR) reaches via the internet, are in the tens of thousands. 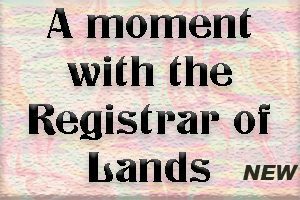 www.themontserratreporter.com is accessed by people from over 170 countries around the world, with the most visits and hits out of the US, UK, Europe to the least Macau. There is also the Facebook page and amazing number read and download the online print pages. The question is also appropriate and a response relevant, regarding the Little Bay, port and new town development. The story may be different but the ignorance is the same. There is a direct effort to kill this newspaper and one way they do it is not to give any kind of business to it. Starve its progress and development, but deny Montserrat exposure. Unfortunately, in the end, the big loser is Montserrat, and there are those who know that. We still look for a responsible government who recognizes interest in the people to know that they have an obligation to reach all the people all the time. The majority are without computers or access. Strong emphasis on social media, but the informed knows its place. It might explain in simpler terms that after TMR was told that its staff will be limited to two passes to cover festival committee event during festival. Should passes be necessary? To satisfy ignorance; and to avoid delay since the gate keepers are rarely knowledgeable how to deal with independent media personnel. Except that the level of ignorance does exist in other quarters, there is usually no difficulty with the private shows that insist on media coverage, but naturally need identities.